This report is the first to examine marijuana possession arrest rates by race for all 50 states (and the District of Columbia) and their respective counties from 2001 to 2010. The report relies on the Federal Bureau of Investigation’s Uniform Crime Reporting Program and the United States Census’ annual county population estimates to document arrest rates by race per 100,000 for marijuana possession. The report finds that between 2001 and 2010, there were over 8 million marijuana arrests in the United States, 88% of which were for possession. Marijuana arrests have increased between 2001 and 2010 and now account for over half (52%) of all drug arrests in the United States, and marijuana possession arrests account for nearly half (46%) of all drug arrests. In 2010, there was one marijuana arrest every 37 seconds, and states spent combined over $3.6 billion enforcing marijuana possession laws. Click here for full report from the ACLU web site…. In 1963 THE SUPREME COURT decided the landmark case Gideon vs. Wainwright. The holding was simple: in felony cases people who cannot afford a lawyer must be provided one. Most states responded to the ruling by creating offices for public defenders to defend poor people charged with serious crimes. But Gideon’s promise has not been fulfilled. Too many public defenders have become little more than speed bumps on an indigent’s journey to conviction. Most concerning is this: Every year hundreds of innocent indigents are swept away in the crushing tide of a system strained to the breaking point. As it stands today, innocents may spend decades in jail, some who are guilty are not brought to justice, and the public is rapidly losing faith in the fairness and competency of the criminal justice system. While the moral implications are staggering, this travesty of justice occurs against the backdrop of an unprecedented economic climate where an economically strapped nation can ill afford to spend needless dollars imprisoning the innocent. Please visit the Gideon at 50 Anniversary site for more information….. In additon the critically acclaimed film “Gideon’s Army” is being presented by The Ford Foundation and HBO Documentary Films and will premiere on July 1, 2013 on HBO. GIDEON’S ARMY follows the personal stories of Travis Williams, Brandy Alexander and June Hardwick, three young public defenders who are part of a small group of idealistic lawyers in the Deep South challenging the assumptions that drive a criminal justice system strained to the breaking point. Backed by mentor Jonathan “Rap” Rapping, a charismatic leader who heads the Southern Public Defender Training Center (now known as Gideon’s Promise) they struggle against long hours, low pay and staggering caseloads so common that even the most committed often give up in their first year. For trailer and more information, click here…. Chicago, Jan. 8, 2013 – To help address systemic failures in providing constitutionally required legal counsel for indigent defendants, states can implement reforms such as reducing the number of criminal cases through reclassification and diversion or implementing other important, low-cost changes, according to a report by the American Bar Association Standing Committee on Legal Aid and Indigent Defendants and the National Association of Criminal Defense Lawyers. 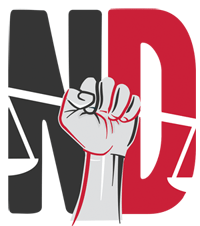 The organizations are releasing National Indigent Defense Reform: The Solution is Multifaceted at the beginning of the 50th anniversary year of the U.S. Supreme Court’s landmark decision in Gideon v. Wainwright. On March 18, 1963, the court unanimously ruled that the Sixth Amendment’s right to counsel applies regardless of whether a defendant can afford to pay a lawyer. Improved collaboration and cooperation within and outside the criminal justice system to achieve significant, sustainable reform. The report was funded by the U.S. Department of Justice’s Bureau of Justice Assistance and prepared by professor Joel M. Schumm of the Indiana University Robert H. McKinney School of Law. The project was co-chaired by professor Adele Bernhard of Pace Law School, professor Robert C. Boruchowitz of the Seattle University School of Law, and NACDL Executive Director Norman L. Reimer. In addition to the report, this same BJA grant-funded project allowed the ABA and NACDL to provide free national defender trainings in Atlanta, Ga.; Austin, Texas; Indianapolis, Ind. ; Las Vegas, Nev.; Lubbock, Texas; and Memphis, Tenn., on topics including forensic science, client-centered representation and advocacy skills. A recent piece by NPR highlighted the serious dilemma faced by indigent individuals accused of committing a crime, but who are too poor to make even the lowest of bails. Using the real life story of Shadu Green, a man in New York charged with misdemeanor offenses for which he claims innocence, NPR reporter Laura Sullivan explained the realistic and coercive effect that continued pre-trial incarceration can have on someone who originally wants to fight his or her charges. For Green and many other indigent accused like him (including those here in Nashville), a guilty plea is unfortunately the quickest path out of jail and back to loved ones depending on them for support. However, it is not necessarily the least harmful path. Click here for full article….